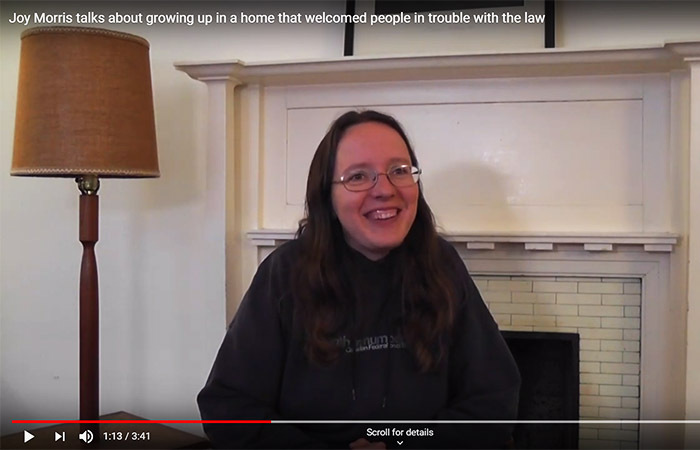 CFSC program assistant Keira Mann recently escorted a... delegation of national leaders from the Anglican Church, the United Church, the Presbyterian Church, and Mennonite Central Committee around the Canadian Senate. 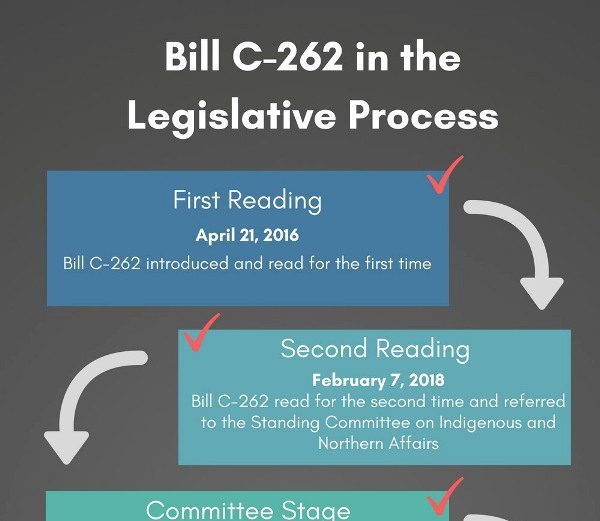 The purpose of these visits was to urge Senators to pass Bill C-262, An Act to ensure that the laws of Canada are in harmony with the UN Declaration on the Rights of Indigenous Peoples. The delegation met with Senators to encourage them to support the Bill and to highlight what each church has been doing toward reconciliation and furthering Indigenous Peoples’ human rights in Canada. The delegation was also introduced in the Senate Gallery by Senator Nancy Hartling, a supporter of Bill C-262. In early March the members of CFSC's criminal justice program committee traveled to visit Friends at Winnipeg Monthly Meeting and host a Penal Abolition Workshop. 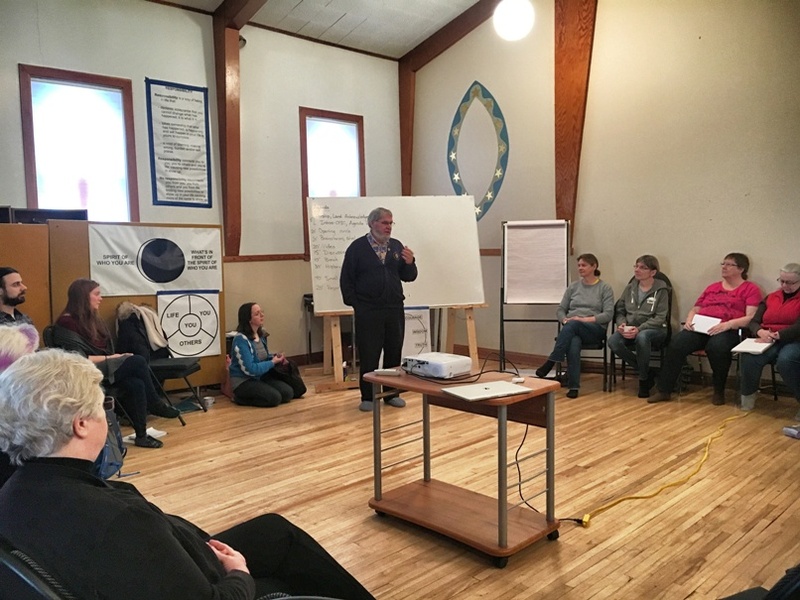 The workshop was held in a space that usually hosts an Indigenous Healing Circle in the north of Winnipeg. Winnipeg Friends were actively engaged and shared their wealth of experiences with prisons, criminal justice work, and penal abolition. The workshop was a great success, and CFSC looks forward to returning to Winnipeg for CYM in session in August. Bill C-85 seeks to update the Canada-Israel Free Trade Agreement (CIFTA). The Agreement includes some commendable features, including chapters on gender, corporate responsibility, labour and environmental protections. CIFTA has some glaring ommission as well. In its trade agreement with Israel, the European Union makes it clear that the benefits of the agreement do not extend to Israel's settlements in illegally occupied Palestinian territory. 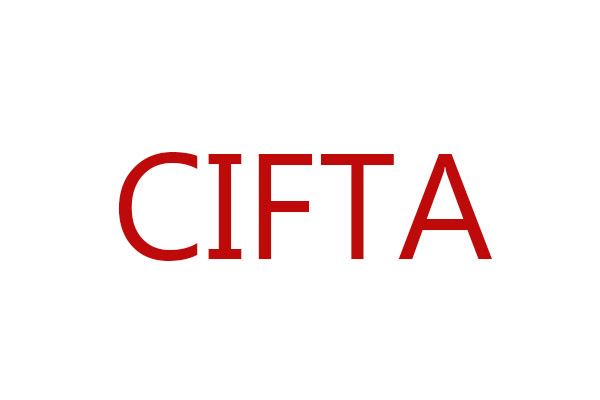 CIFTA makes no such distinction. CIFTA is also silent about human rights and any requirement to uphold them.